When you're buying or selling distinctive real estate, look to the specialists in high value properties. Carol C. Dorey Real Estate has established an organizational structure that is unique in the real estate profession. We have a salaried staff of experienced professionals, each of whom is responsible for managing a key aspect of our business. Our commitment is to provide an extraordinarily high and consistent level of service that is beyond the expectations of our clients and customers. The result is an outstanding record of listing and selling high-end residential properties and an ever-growing number of grateful sellers and buyers who say things like, “We wholeheartedly recommend you to anyone in this area interested in buying or selling a home." With Dorey Real Estate you will find a well-organized team of specialists working together to provide exceptional service. This is who we are and what we do. Carol C. Dorey Real Estate is the only realty office to specialize in representing the finest homes, farms and estates in the upper Bucks County and Lehigh Valley areas (an hour to Philadelphia and 1.5 hours to New York City). Our full color brochures and property portfolios provide detailed descriptions of each property: the buildings, mechanical systems, tax mapping and other pertinent data. Our marketing program provides maximum outreach to an audience of potential buyers. Our professional advertising expertise, extensive market research, and experience in representing high-value properties in the top five percent of the sales range give us a distinct edge over other brokers who represent the gamut of properties, from row houses to restaurants. 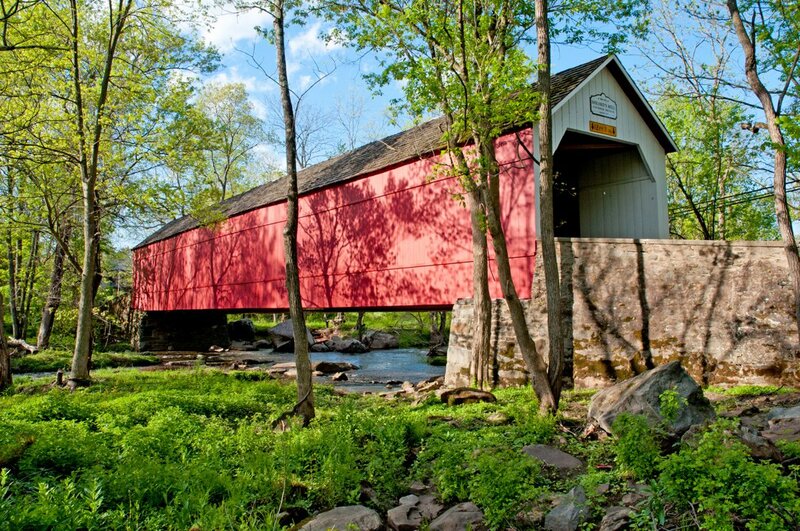 We are located in Bucks County, long appreciated for its rich history and scenic beauty. Gently rolling hills, broad valleys and tranquil lakes, present unsurpassed pageantry of four-season splendor. Winding country roads lead the wanderer through covered bridges, past sparkling creeks, fertile farmlands, spectacular barns, pre-revolutionary stone homes, gracious Georgian and Victorian mansions and occasional modern masterpieces of architectural design. Just a bit north in the Lehigh Valley near Allentown, Bethlehem and Easton one discovers a somewhat different lifestyle. Large, gracious, beautifully landscaped homes built since the 1930s for successful business executives are a brisk walk or a bike ride away from town. In Historic Bethlehem gas lamps light brick walkways in front of specialty stores and dining places, and during the Holiday Season white candle lights shine in every window of meticulously maintained 18th and 19th century homes. Dorey Real Estate is custom tailored to satisfy the needs and expectations of clients who are interested only in residential properties in the top five percent of the market - properties valued above $300,000. As seasoned professionals who focus our full time attention on this small segment of the marketplace, we are able to send you information on every one of the finest properties from Doylestown to Allentown, Bethlehem and Easton. Please let us know your desires and requirements.